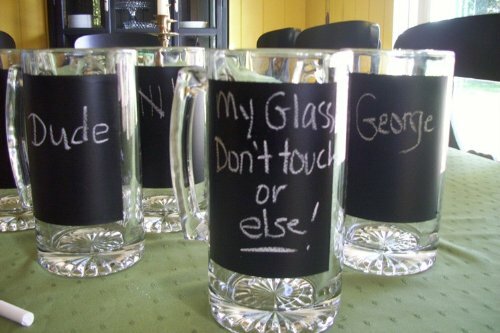 The chalkboard beer mug is a tall beer mug that has a chalkbaord surface that you can write on with chalk. 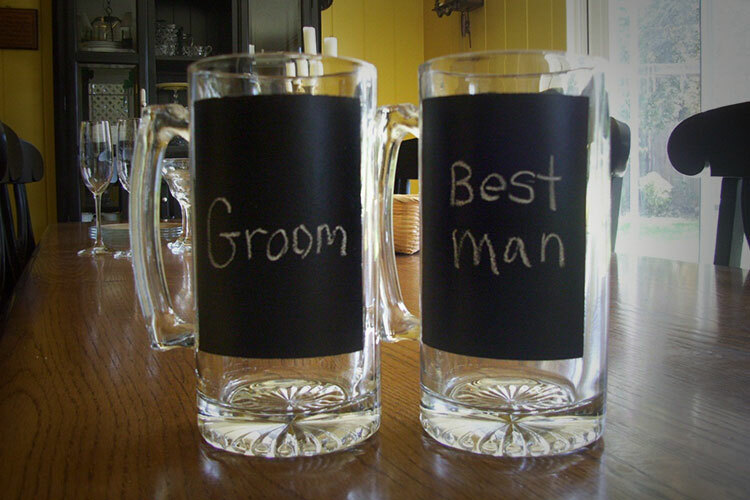 No longer will you forget who's drink is whose, just write your name on it, go to the bathroom, and creeper guys will know exactly what cup to roofie, so in a way the chalkboard beer mug has it's ups and downs, sometimes anonimity has it's benefits. 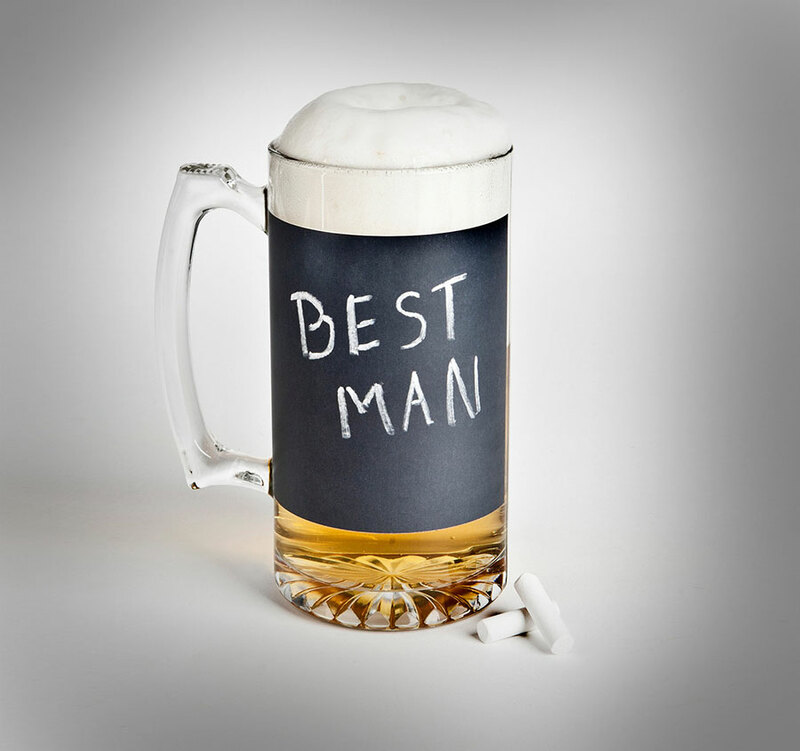 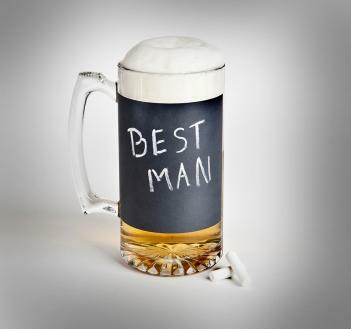 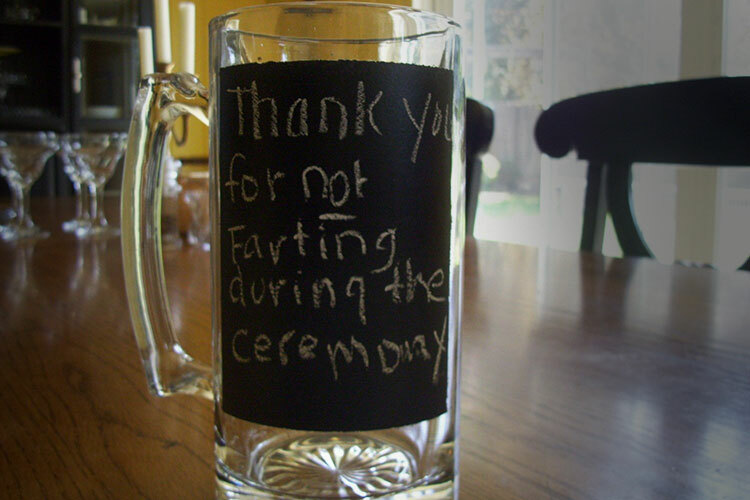 The chalkboard beer mug holds 25oz of liquid, measures 6.5 inches high, 4 inches wide, comes with one piece of chalk, and is great for groomsmen gifts, or usher gifts for your wedding party.